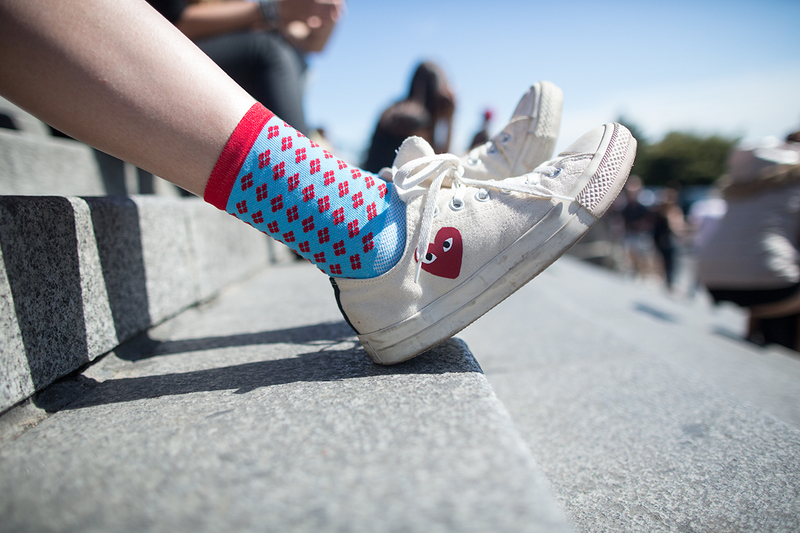 These socks were created by designer Lauren Ayers. She is a thinker facile with print, various media, interactive design and has always impressed us with her style and conversational nous. 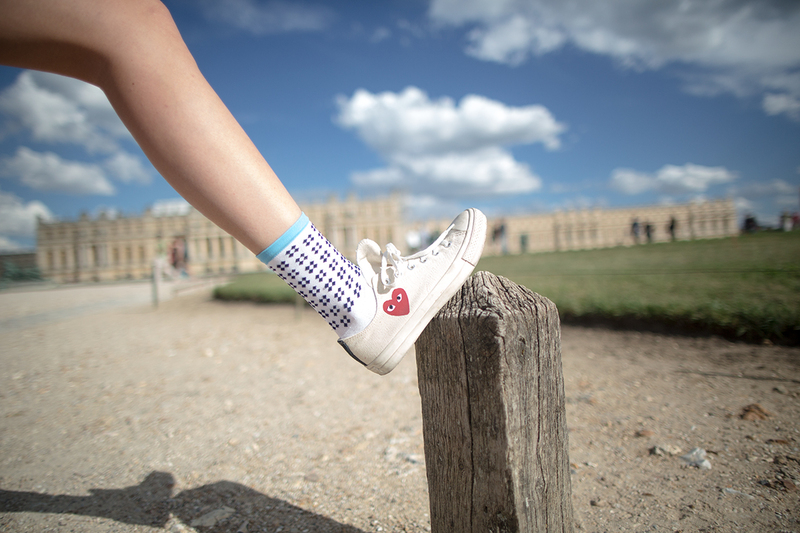 Early summer we asked her to think about La Girafe Sportive, bike riding, preppy-ness, and pattern via sock-dom. She said yes to all and came up with a collection of socks that are in the store now and more to come in 2014! You can read our Lauren Ayers quiz interview ici! In the meantime we (Alexa) wrote some prose poems to celebrate the new collection! The castle just 3 stops (to follow: Châtelet-Gard du Nord-Versailles R. Gauche) away. (that M&M is jeune not rouge). Bark peeled back to expose still-shining gold. got it and ate three bowls. looking for a boy to share it all with. from the same boulangerie responsible for crafting Louis XIV’s Orangettes du Berry. unmarked sneakers leave their crisscrossed stamp upon a post. Elsa! Elsa! Notre ami, nous sommes ici! Friendship braided like the bracelets they tried to sell us. Let’s watch the mime mock & mimic tourists. Let’s run up the steps at least twice. Let’s stare at this haven for Picasso and Le Bateau. Let’s keep Sacre-Couer sacred in our hearts. Even for three days, Let’s forever live in Paris. Do you see the black dot in the center of those squares? Or the castle, far behind? In different socks on the same stones. Limbs, mimic the iconic mark of a Puy. iPhotographs of an ant constructing one empire that isn’t necessarily his. Tags: La Girafe Sportive, Lauren Ayers, socks.